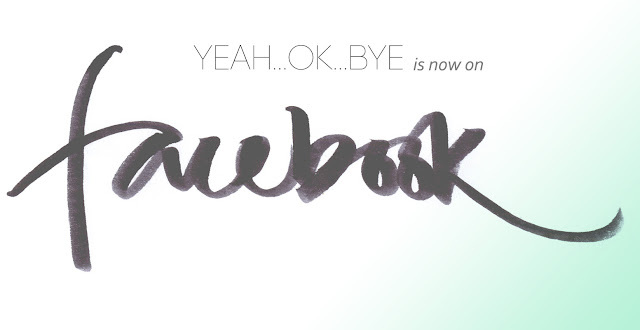 I finally started a facebook page for Yeah...Ok...Bye. You can 'like' it here to keep up with posts via your facebook profile. I won't fill your timeline with nonsense...I promise.